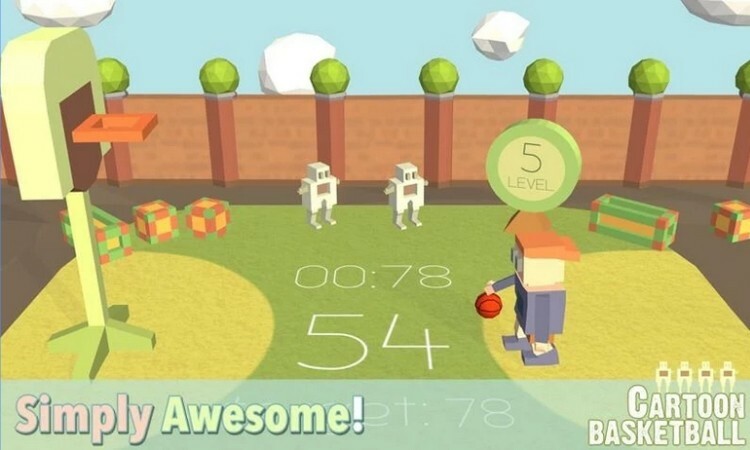 Cartoon Basketball by Gold Apps is an arcade basketball shooter game with blocky cartoon graphics. Let's play cartoon Basketball! 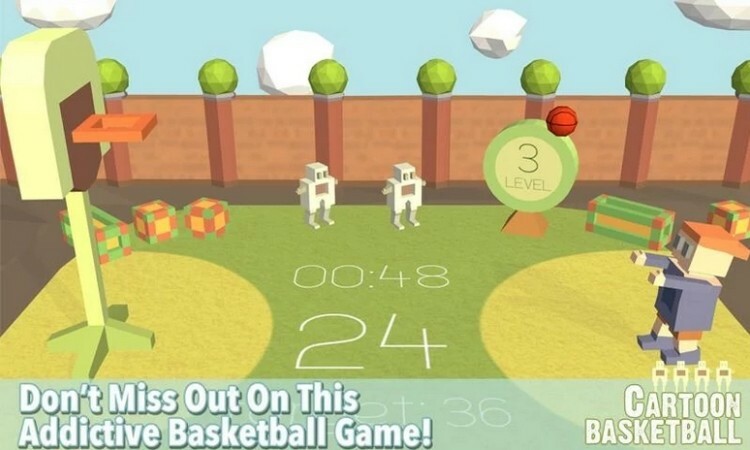 In this basketball game you need to throw the basketball quickly to score as many points as possible. 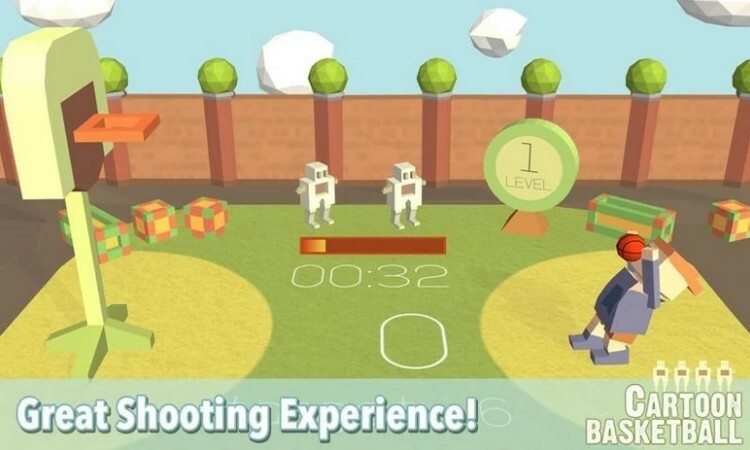 Cartoon Basketball is what you might expect, a basketball shooting arcade game featuring blocky cartoon graphics. The early levels are not too difficult as soon as you manage to find the right timing to shoot. However, the later levels will be quite challenging even for the seasoned arcade shooter players. Then again, everything is right down to getting the timing down. In summary, Cartoon Basketball is amusing to play. However, once you reach certain level, the difficulty level of the game shoots up by several folds which might frustrate casual players. Furthermore, the game can use some more variety of the shooter's position instead of just moving back and forward of the yellow circle.